Contact Program Manager Emily Neill (x3-2642) with any questions. Questions posed by the literature of the Americas about the relationship of race and gender to authorship, audience, culture, ethnicity, and aesthetics. 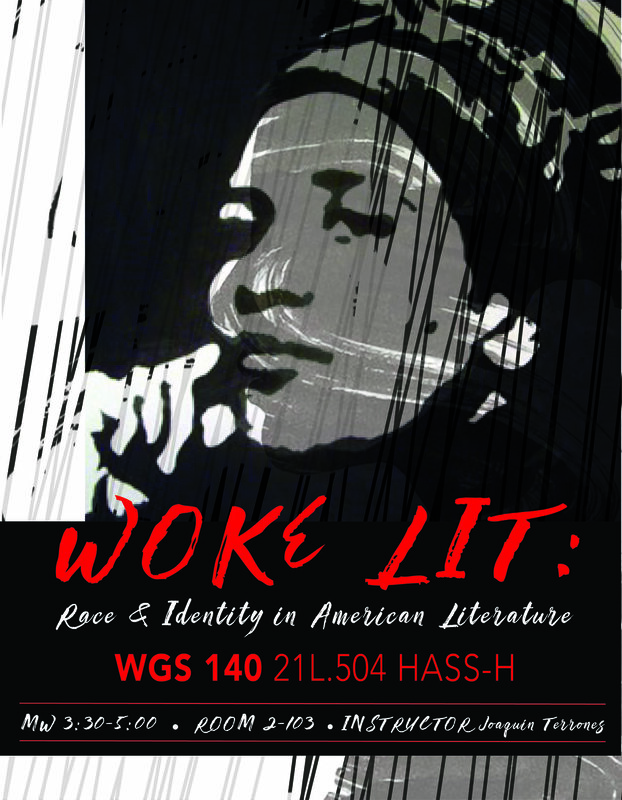 Social conditions and literary histories that shape the politics of identity in American literature. Specific focus varies each term. Previously taught topics include Immigrant Stories, African American Literature, and Asian American Literature. May be repeated for credit with permission of instructor if the content differs. Provides an introduction to the analysis of gender in science, technology, and environmental politics from a global perspective. Familiarizes students with central objects, questions, and methods in the field. Examines existent critiques of the racial, sexual and environmental politics at stake in techno-scientific cultures. Draws on material from popular culture, media, fiction, film, and ethnography. Addressing specific examples from across the globe, students also explore different approaches to build more livable environments that promote social justice. Taught in English. Limited to 18. Examines the definition of gender in scientific, societal, and historical contexts. Explores how gender influences state formation and the work of the state, what role gender plays in imperialism and in the welfare state, the ever-present relationship between gender and war, and different states' regulation of the body in gendered ways at different times. Investigates new directions in the study of gender as historians, anthropologists and others have taken on this fascinating set of problems. Open to advanced undergraduates with permission of instructor. Explores the historic roles of women in scientific and engineering endeavors. Examines what sociocultural obstacles women in these disciplines have faced, and how their challenges and successes have changed over time. The course provides a basic overview of the history of women in science, technology, engineering, and mathematics (STEM). Students will learn about specific contributions of women across a variety of disciplines and will gain a broad perspective on how these contributions played a larger role in the advancement of human knowledge and technological achievement. 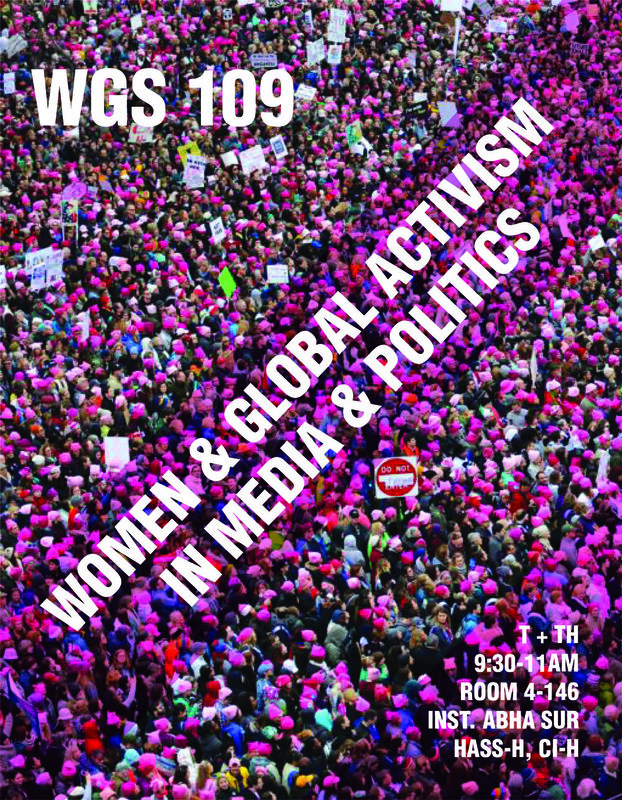 The class will also grapple with how both historic and modern biases within the STEM disciplines, as well as in representations of women and girls in media and popular culture, can affect outcomes in these areas. Examines the social, cultural, economic, and political aspects of digital games. Topics include the culture of gameplay, gaming styles, communities, spectatorship and performance, gender and race within digital gaming, and the politics and economics of production processes, including co-creation and intellectual property. Students taking graduate version complete additional readings and assignments. Connects the consequences of power, inequality, and belief systems on sexual health and personal well-being in the US and non-western countries. Focuses on how "subordinate" groups contend with dominant domestic and international pressures to conform to narratives and expectations predicated on inequalities. Conducted in seminar format with discussions on uncovering the dynamics and dimensions of inequality. Examines major historical cross-cultural events impacting attitudes on sexual behaviors and sexualities. Examines traditional forms of East Asian culture (including literature, art, performance, food, and religion) as well as contemporary forms of popular culture (film, pop music, karaoke, and manga). Covers China, Japan, Korea, Taiwan, and Hong Kong, with an emphasis on China. 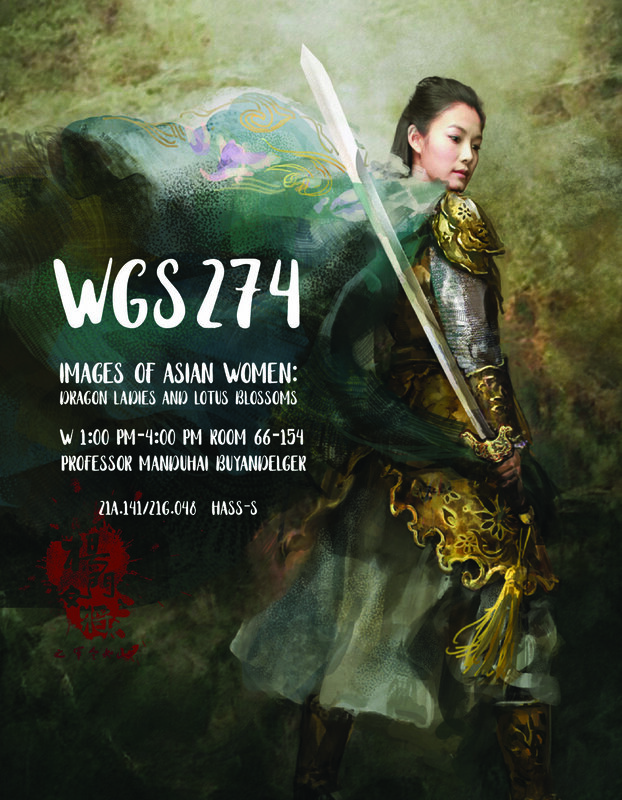 Considers women's culture, as well as the influence and presence of Asian cultural expressions in the US. Uses resources in the Boston area, including the MFA, the Children's Museum, and the Sackler collection at Harvard. Taught in English. An examination of Jane Austen's satire in her seven complete novels, several fragments, and juvenilia. Students read these texts in relation to her letters and other biographical and historical information. Explores feminist literary voices in France throughout the ages. Discusses the theory that the power of feminist writing lies in its ability to translate dominant language into a language of one's own. Studies lifestyles, family norms, political representation, social movements, as well as the perception of the body. Investigates how feminist genealogies redefine the relationship between belonging and knowledge through a dialogue between several generations of women writers. Taught in French. Limited to 18. Throughout U.S. history, the perception of masculinity and manhood has traditionally been rooted in White, elite, heterosexual masculinities. Discussions surrounding economically marginalized White men and men of color while limited are usually rooted in stereotypes, tropes, and limited narratives often constructed by the aforementioned dominate male. As such, this course will focus on what it means to be a marginalized boy/man. While the abundance of course examples will be rooted in a U.S. context, we will address global masculinities. Paying particular attention to the way class, race, sexuality, religion, citizenship, ability and other identities intersect to influence these realities, we will consider how these images have changed or remained static over time. Open to advanced undergraduates with permission of instructor. Examines the definition of gender in scientific, societal, and historical contexts. Explores how gender influences state formation and the work of the state, what role gender plays in imperialism and in the welfare state, the ever-present relationship between gender and war, and different states' regulation of the body in gendered ways at different times. Investigates new directions in the study of gender as historians, anthropologists and others have taken on this fascinating set of problems. 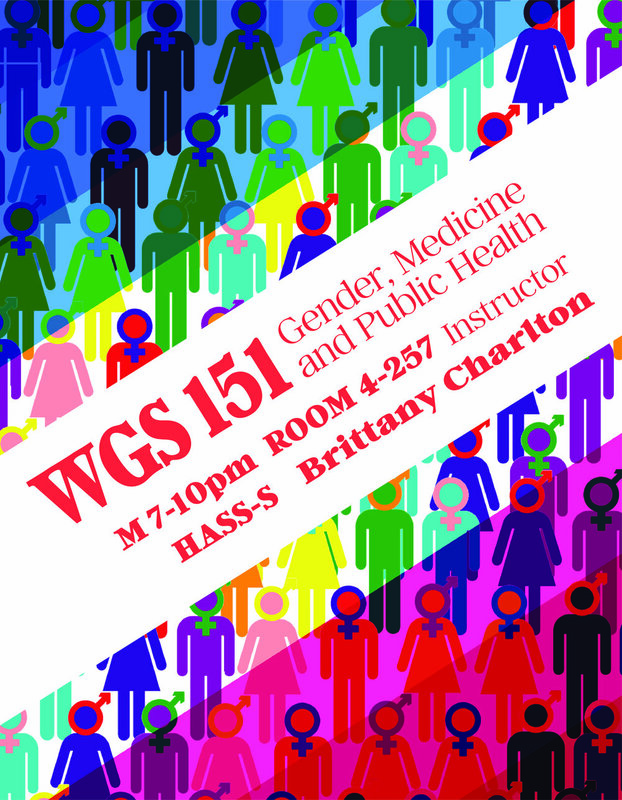 Draws on different disciplines, conceptual frameworks, and methodological approaches to examine gender in relation to health, including public health practice, epidemiologic research, health policy, and clinical application. Discusses a variety of health-related issues that illustrate global, international, domestic, and historical perspectives. Considers other social determinants of health as well, including social class and race. Limited to 35. Investigates relationships between the two media, including film adaptations as well as works linked by genre, topic, and style. Explores how artworks challenge and cross cultural, political, and aesthetic boundaries. Students taking graduate version complete additional assignments. Can be taken for WGS credit.